Every day, you see tractor-trailer trucks hauling heavy loads on the Kansas City highways and across the nation. These big rig trucks carry steel beams, concrete forms, logs, construction materials, cars and more. However, if that cargo is not properly secured, it can fall off the truck and cause a devastating accident. Motor vehicle accidents are caused by many kinds of roadway debris; for instance, small debris such as a rock being kicked up can crack a windshield and startle a driver enough so that he or she swerves into another vehicle. Falling debris accidents are often caused when those tasked with securing the cargo failed to do this in the proper manner. Truck drivers must comply with federal regulations regarding the proper securement of their cargo, ensuring that it is carefully tied onto the truck and the weight correctly distributed. 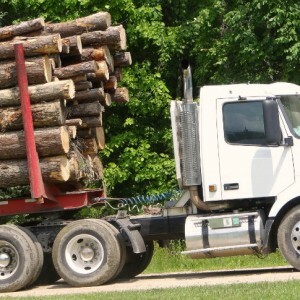 Big rig drivers and trucking companies are responsible for ensuring that the cargo on their vehicles is appropriately stacked, loaded and secured before hitting the road. Truckers must also periodically check their loads while in transit and make any necessary adjustments to ensure that it remains properly secured. Typically, the party responsible for securing the load can be held liable for any injuries that result; however, that may be the truck driver, the owner of the truck, the trucking company or a third party loader. The truck accident attorneys at Nash & Franciskato will help you determine who is at fault. In an accident caused by falling debris, there may be more than one party liable. The experienced truck accident attorneys at Nash & Franciskato can help you obtain damages from the truck driver, the truck owner, the trucking company or any other party that failed to properly secure the tractor-trailer’s cargo. We investigate the scene of the accident, consult with experts and move quickly to secure evidence. Our goal is to help you and your family put your lives back together by obtaining the compensation you deserve. When you need an attorney who can determine whether a tractor-trailer’s cargo was properly secured, contact the Kansas City law firm of Nash & Franciskato. Our experienced truck accident attorneys will help you obtain compensation from all parties responsible. Contact us for a free, no-obligation review of your case.